Your Estate Hostess will begin your experience with a walking tour (weather permitting) through our Barrel House and Wine Production Facility. Then, in a private seated setting, overlooking our vineyards and the hills beyond, we will serve some of our award winning wines. Each wine will be perfectly paired with a selection of fine cheeses and hors d'oeuvres prepared by our boutique catering partner Simply Living Life. Due to the nature of this tour, children & infants are not permitted. Approximately 1.5 Hours. After selecting one of four flights, you and your guests will be seated in our Oak Room where you can enjoy your table-served wine tasting over the next 45 minutes. In addition, each party is served with a small complimentary cheese plate to nibble on while you sip and the AV wine glass you taste out of is yours to keep. Must be 21 years or older to attend. Proof of ID is required. Due to the nature of this tour, children & infants are not permitted. Approximately 1 Hour. Grab your friends & family and celebrate all the Moms in your life by participating in this fun specialty tasting! After being seated in our Vineyard House, enjoy a relaxing table-served flight of 4 wines, each paired with a food bite specifically selected to pair with our award-winning wines. This special tasting will take place on Sunday, May 12th only and takes the place of the AV Signature Experience. Due to the adult nature of this tasting, children & infants not permitted. Approximately 1 Hour. SPECIAL Signature Experience available on Sundays in June only. As summer approaches, there is sure to be tons of poolside cookouts and backyard BBQs! Let us show you how to pair your favorite BBQ items with our award-winning vino! This seated experience will be a table-served tasting. You will try four delicious cookout-style food bites along side of four samples of our wines. This pairing will be sure to delight your taste buds, just in time for summer! Approximately 1 Hour. Grab your friends & family and celebrate all the Moms in your life by participating in this fun specialty private tasting! Large groups of 10 - 12 only. After being seated in our private Wine Loft, enjoy a relaxing table-served flight of 4 wines, each paired with a food bite specifically selected to pair with our award-winning wines. This special tasting will take place on Sunday, May 12th only and takes the place of the AV Premier Experience. Approximately 1.5 Hours. Founded by Kix Brooks, Arrington Vineyards is located 25 minutes south of Nashville among the beautiful hills of Arrington, Tennessee. We invite you to come experience our award-winning wines and spectacular vineyard views. Arrington Vineyards is a wine country experience in the heart of Tennessee. 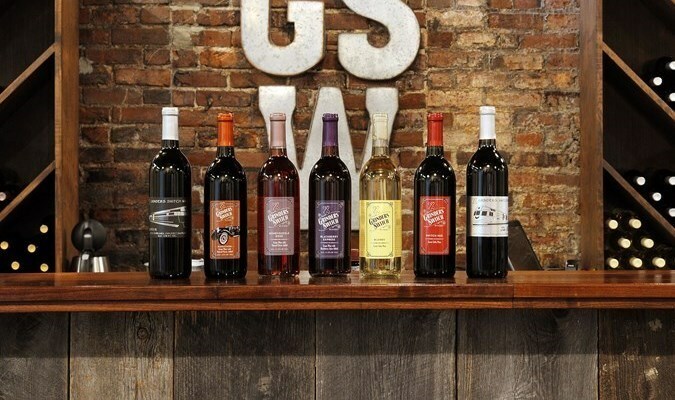 Since our Grand Opening in 2007, we have quickly become Tennessee’s Premier Winery. Our wine list contains 18 different award winning wines in a range of classic styles. We have over 15 acres of scenic vineyards, dozens of mature hardwood shade trees and over 100 picnic tables to enjoy throughout our 95 acre property. We offer multiple wine tasting options - self-guided “Picnic Tastings” to enjoy outside at a picnic table, staff-guided tastings at one of our quartz tasting bars, to a private seated tasting in our Wine Loft, Barrel House, or Estate House. During our Music in the Vines weekends from April through November, enjoy live Jazz or Bluegrass while sharing a bottle of wine with friends and family. In cooler months, warm up at our massive stone fire pit on the hillside next to our tasting room. We also offer private event packages – from small events on our cellar patio to large events in our Grand Barn. I had a great time. We went Easter weekend so it was very busy! They were very organized and there was plenty of parking. It was super family friendly and the staff was very lovely. I would definitely recommend to everyone. Wonderful premier wine tour. The food / wine pairing was awesome! Learned so much. Can’t wait to return. Oh, and the wine is fabulous! We had a party of 6 for the signature wine tasting tour and it was so much fun to sample the wine and cheese selection. We will definitely be coming back! We were here for a bachelorette party and this by far was our favorite party of the weekend! Our host was so nice and knowledgeable about everything! This was the first time at a vineyard for many of us and the experience was amazing! Many of us are already planning our next trip back! Definitely a top thing to do while in Tennessee. It was our first visit celebrating our 5th wedding anniversary. It was a great way to start the night. Sarah was a wonderful tour guide and wine tasting hostess! Arrington Vineyards turned out to be the highlight of our trip. I was with a group of girls staying in Nashville for the long weekend and thought, despite the drive, it would be a great addition to our trip. Arrington went above and beyond our expectations. The property was beautiful, even in March, the staff was accommodating and kind, and the Premiere Experience had amazing wine/food pairings. Sarah gave an awesome tour! Would recommend the private tasting to anyone! Toni was such a great tour guide. She was funny and engaging and knowledgeable about the wines and wine making process. The food and wine pairing was a great experience. We had an amazing time at Arrington! We enjoyed the tour and tasting experience and our hostess was the best! We will definitely be back! This event exceeded my expectations! Our group had a fantastic time and the hospitality was second to none. It is always so beautiful! Love the new building which is the space where the Vertical tasting was! Tasty treats and as always, staff was fabulous! And having Kix make a surprise visit was fun. We always have a great time at Arrington Vineyards! Staff is super friendly and seeing Kix from time to time is an awesome bonus! This was our first time visiting Arrington Vineyards. We enjoyed our tour and we really loved our tasting. The food and wine were both scrumptious and paired so perfectly! We had Toni as our guide. She was sweet, funny, and very knowledgeable! We were all excited to sign up to become wine club members and can’t wait to come back frequently! Arrington Vineyards was the highlight of our weekend trip to Tennessee. We splurged for the Premiere Experience to celebrate my hubsand’s birthday and it was worth every penny. We loved seeing behind the scenes of the winery and our tour guide, Sarah, was amazing. The wine loft with the wine and food pairing was our favorite part... everything was perfect. We can’t wait to come back! I planned a bachelorette party for my best friend, with 10 doctors attending that I didn't know, and scheduled the premier wine experience. Words cannot even describe Arrington Vineyard - It was breathtaking, comfortable, classy, fun, DELICIOUS... the list goes on. Toni was the absolute best hostess! Excellent tour and incredible pairings with delicious wines. Overall great experience and lovely time. We had the BEST premier experience at Arrington despite the bad weather. Unfortunately, we didn’t get to have a real tour but the video was just as good. Sarah was absolutely amazing and made us feel at home. She deserves special recognition for treating us like family!! We were a high-energy group of 13 girls on a bachelorette party. She gets 5 stars! The whole experience was 5 stars! Thank you! Arrington never disappoints. We became wine club members during our first visit last year. This was our first time doing a premier tasting. Great wine and great staff. Overall Barrel room experience was superb! Really neat place. the grounds were super cool and offers nice views and great wine. Event was fantastic and will definitely be returning to do it again! Learn so much, while having a great time in a more than great atmosphere. Arrington remains one of the best winery venues in the country. Where else do you find hundreds of visitors in the winter that stay for hours...and thousands in the summer. Amazing every single time. Such fun. We have done this experience before, and enjoy it all. Very knowledagable staff and the pairing of chocolate wine was exceptional. Loved this! Romantic environment and the chocolate was some of the best chocolate we have ever tasted and we are definitely chocolate experts! The cayenne pepper chocolate was over the top! They all were over the top! We loved the surprise treat of being able to taste wine from the barrel and compare to the bottle. The ladies were very knowledgeable and fun. We definitely will do it again! My fiance and I have visited Arrington twice now and have had an amazing time! We just recently visited for Valentine's Day and the staff was exceptionally friendly and very helpful. It was raining and they provided umbrellas and even escorted us down to the tasting house. Arrington is one of our favorite places! We go frequently, just to relax and have an evening out. We take friends who are new to the area, and we recommend the winery often. The wine/chocolate pairing was a delightful experience. Our host, McKenzie and her assistants, were fun, knowledgeable, the program was well thought out, the chocolates AMAZING. Hope to have more of these great events!! We had a wonderful time, can't wait to return..
We've been regular patrons since Arrington opened and enjoy spending time there often. The Valentine's Day Wine and Chocolate Event was the first pairing event we've attended and thought it was priced appropriately. Nice selection of wines paired with different chocolates. Arrington always does things right! We plan on attending additional events in the future. Valentines wine & chocolate pairing- saw the barrel room for the 1st time. We love Arrington! It was a quiet, romantic night.